DB mounts are not the whole story about access to pages. Users and groups also need to have rights to perform operations on the pages like viewing, editing or deleting. Every page has an owner, who is a user, and also a group membership. Rights can be assigned to the owner, to the group or to everyone. This will be familiar to Unix users. To change a permission, simply click on the related icon and it will switch state. 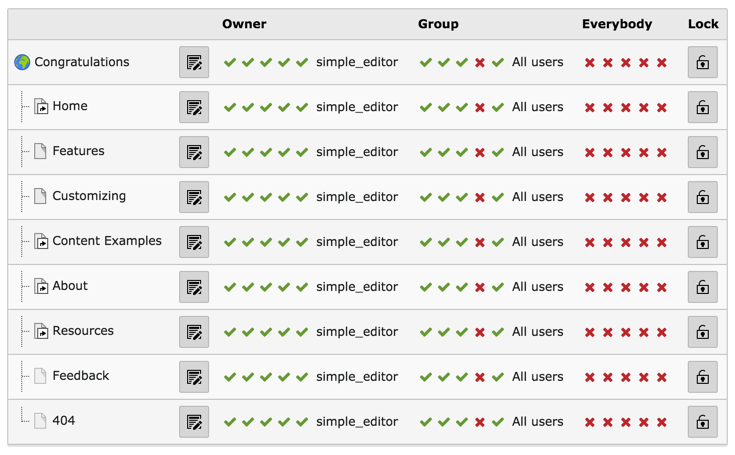 To change the owner or the group of a given page, click on the owner's or group's name and a small form appears. By choosing "All users" as group and then "Set recursively 3 levels" in the "Depth" dropdown, we will assign all the pages in the page tree to the "All users" group. Actually this makes a lot of sense, since the "All users" group is a sub-group of both "Simple editors" and "Advanced editors". 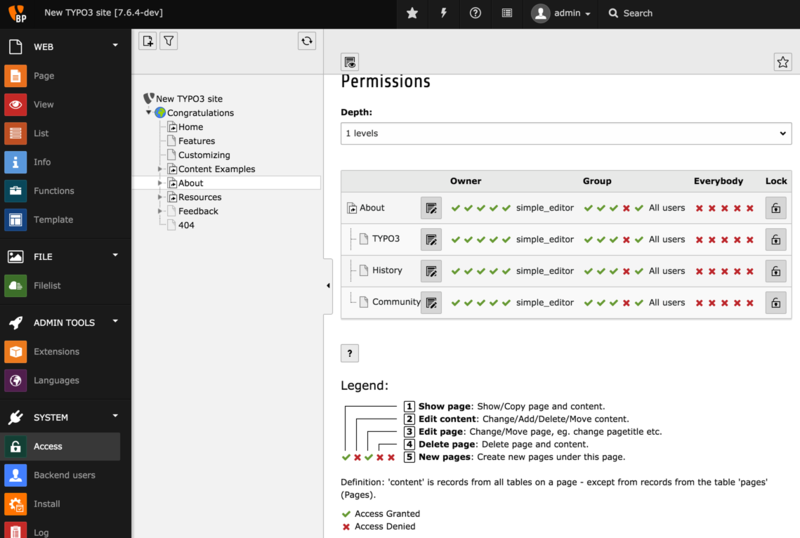 This way both groups will have the same permissions on the page tree. 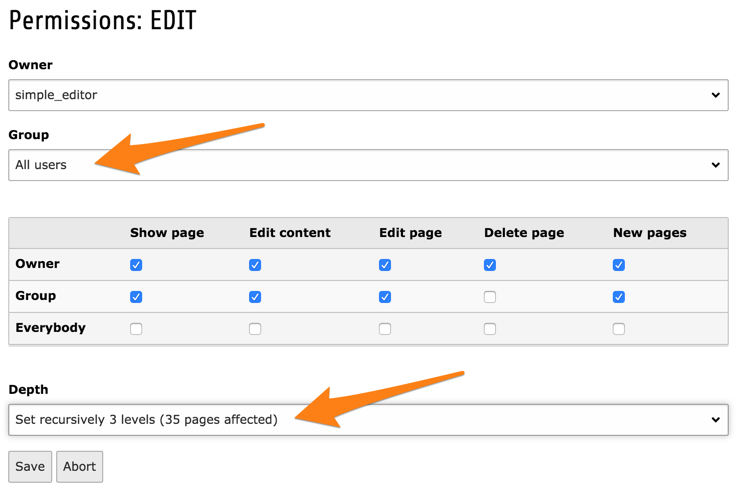 However since they have different DB mounts, they will not have access to the same set of pages.